Content tagged with "Ariel Waldman"
Bill Nye, co-host Eugene Mirman, space activist Ariel Waldman, SF Sketchfest co-founder Janet Varney, and comedian Claudia O’Doherty are back to finish their chat on citizen science, space exploration, Science Hack Days, and more, as we revisit Part 2 of our live show at SF Sketchfest 2017. Re-visit our live discussion on space exploration and citizen science from the 2017 SF Sketchfest featuring Bill Nye, co-host Eugene Mirman, space activist Ariel Waldman, Sketchfest co-founder Janet Varney, and comedian Claudia O’Doherty. 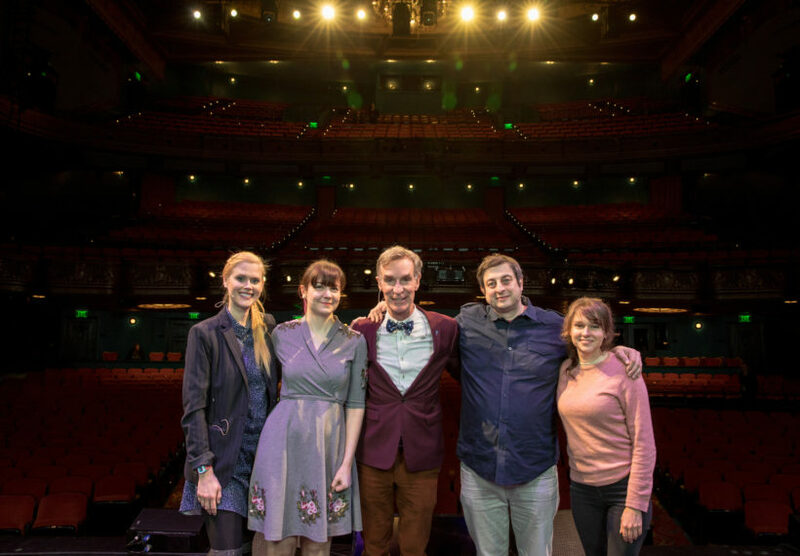 Host Bill Nye, co-host Eugene Mirman, space activist Ariel Waldman, SF Sketchfest co-founder Janet Varney, and comedian Claudia O’Doherty team up to talk about citizen science, space innovations and how we hack our way to the stars. Recorded live at Sketchfest 2017. Host Bill Nye, co-host Eugene Mirman, space activist Ariel Waldman, SF Sketchfest co-founder Janet Varney, and comedian Claudia O’Doherty team up to talk about citizen science, space innovations and how we hack our way to the stars. Recorded live.